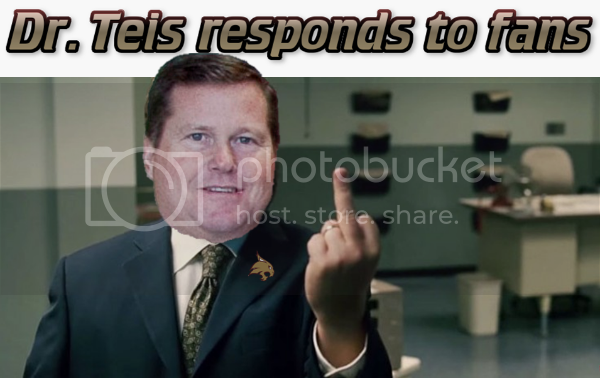 BobcatFans.com - View topic - Where's the EFF'ing game thread???? Where's the EFF'ing game thread???? Re: Where's the EFF'ing game thread???? Just to clarify I do drive for Uber/Lyft/Ride|Austin on the side and with this gas shortage and a full tank in my Prius that averages me 50mpg, I've been killing it yesterday and all day today with the shortage of drivers who do not have gas. Couple that with UT's home opener, the debut of Tom Herman, Labor Day weekend, and no rental cars available (another rider on a fb group picked up a VP of a rental company that said the entire Austin fleet has been sent to Houston due to Harvey...it has been busy and quite lucrative for me. So needless to say I just have not been in front of a computer for days, other than work. Got a full tank of gas in our other vehicle however so plan on heading down there in about 10 minutes. Hope we have a better showing the Horns.